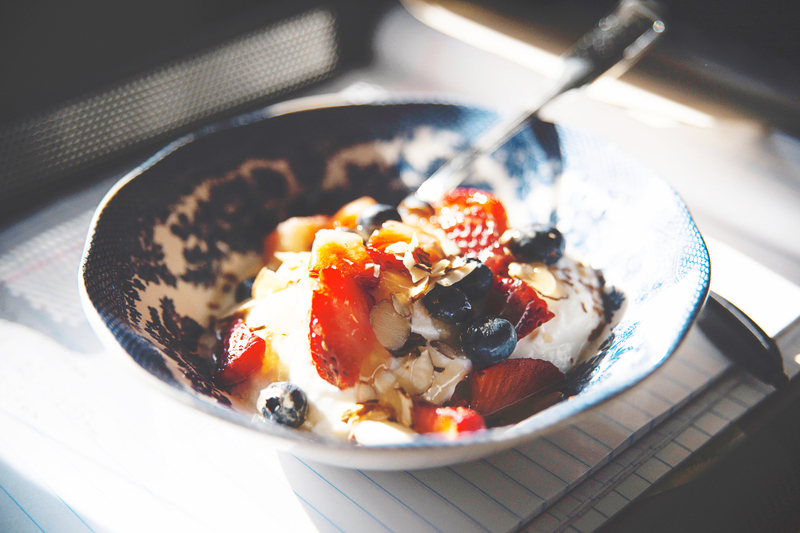 Packed with protein, calcium and probiotics, yogurt is undeniably beneficial to your health. Yet if you’re eating it on a daily basis (at breakfast with granola, on top of a potato as a sour cream alternative, to thicken a smoothie…), even the once-novel Greek types may have lost their “wow” factor. Fortunately, Icelandic yogurt is one of the next big things in the health food world, and is even lower in calories than its Greek counterpart! Need even more alternatives, especially if lactose is an issue? If you haven’t tried kefir, now’s the time. Technically, the dairy product known as skyr is considered a cheese in Iceland. Yet it’s so similar to thick, Greek-style yogurt that in the U.S., you’ll find it flavored and marketed as yogurt. Like the Greek types, skyr is much thicker and creamier than traditional versions. And as with many yogurts you can find in your supermarkets, skyr is high in calcium and protein, as well as probiotics. But skyr has the edge when it comes to taste, according to its fans. Although the Icelandic product is lower in sugar, it is sweeter-flavored. The skim milk-based yogurt is also lower in calories overall — about 50 fewer calories than comparable yogurt versions — and lower in sodium. Like yogurt, kefir is a fermented milk product that contains the prebiotics and probiotics considered to be useful for digestive health and to boost immunity, while helping to control blood sugar and cholesterol. Unlike yogurt, however, kefir is liquid. This difference gives you a little more versatility — and even portability — in your diet. Choose flavored kefir on its own as a thick, satisfying drink, or as the liquid base to a smoothie containing other nutritious ingredients. In addition, the pourable nature of kefir allows the plain varieties to be added to your diet in new ways, including in tangy cucumber salad dressings, or as a substitute for milk in desserts, muffins and pancakes. You may have to hunt a little harder, but both skyr and kefir, as well as “American” yogurts, have non-dairy alternatives. These fermented products can be made from any kind of “milk,” including almond, soy and rice.